Shelley Jordon was born in Brooklyn, New York. She received her BFA from the School of Visual Arts in New York and her MFA from Brooklyn College. She currently resides and works in Portland, Oregon. Jordon is a painter and moving image artist who explores the intersection between interior and exterior worlds and connections between past and present experiences. She challenges the boundaries of traditional painting and drawing media through experimentation with installation, animation and performance that investigate states of mind and states of relationships. 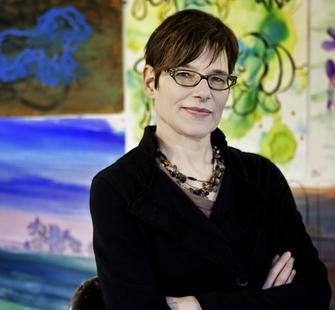 She has been a recipient of the Visual Arts Fellowship for the American Academy in Jerusalem, two Oregon Arts Commission Individual Fellowship Awards, two Ford Family Career Opportunity Awards, a Fulbright-Hayes Group Travel Research Grant to Yemen and Tunisia and an OSU Center for the Humanities Fellowship Award. Her artwork has been exhibited in numerous venues nationally and internationally, including the Frye Museum in Seattle, Washington; the Wexner Center For the Arts in Columbus, Ohio; the Oregon Jewish Museum, Oregon; the Portland Art Museum, Oregon; the Museo Cultural, Santa Fe New Mexico; the Tacoma Art Museum, Tacoma, Washington; the Contemporary Art Center of Thessaloniki, Greece; Mabaada (the Lab), Jerusalem, Israel; and the Portland Museum of Art, Portland, Maine. Her award-winning hand-painted animations have been screened at venues in Sydney, Australia; Jerusalem, Israel; Los Angeles, California; Beirut, Lebanon; Sardinia, Italy; and Hamburg, Germany, where she won "Best Art and Animation" Award at the Radar/Hamburg Film Festival. Jordon, a Professor of Art at Oregon State University, has participated in artist residencies at the Wexner Center for the Arts, and the American Academy in Rome. She recently participated in "the A-Team; Artists For Social Change", at NOASS, a floating art center, in Riga, Latvia, where she exhibited and spoke about her work.